The Associated Press is reporting that the gunman being held in custody in the shooting of Rep. Gabrielle Giffords and more than a dozen other people has been identified as Jared Laughner [Ed: it would appear his name is actually Jared Lee Loughner]. Little information is known immediately about Laughner — such as his background or a possible motive in the attack... U.S. officials who provided his name to the AP spoke on condition of anonymity because they were not authorized to release it publicly. Loughner is 22 years old and was born in September, 1988. A bit of searching took me to a series of YouTube videos allegedly authored by Loughner including one titled "My Final Thoughts." The video was uploaded just three weeks ago. Tyler Durden reports that Loughner lists Mein Kampf and The Communist Manifesto among his favorite books. About Me: My name is Jared Lee Loughner! Schools: I attended school: Thornydale elementary,Tortolita Middle School, Mountain View Highschool, Northwest Aztec Middle College, and Pima Community College. Books: I had favorite books: Animal Farm, Brave New World, The Wizard Of OZ, Aesop Fables, The Odyssey, Alice Adventures Into Wonderland, Fahrenheit 451, Peter Pan, To Kill A Mockingbird, We The Living, Phantom Toll Booth, One Flew Over The Cuckoo's Nest, Pulp,Through The Looking Glass, The Communist Manifesto, Siddhartha, The Old Man And The Sea, Gulliver's Travels, Mein Kampf, The Republic, and Meno. Well, this certainly seems to fit a 'lone nut' theory. 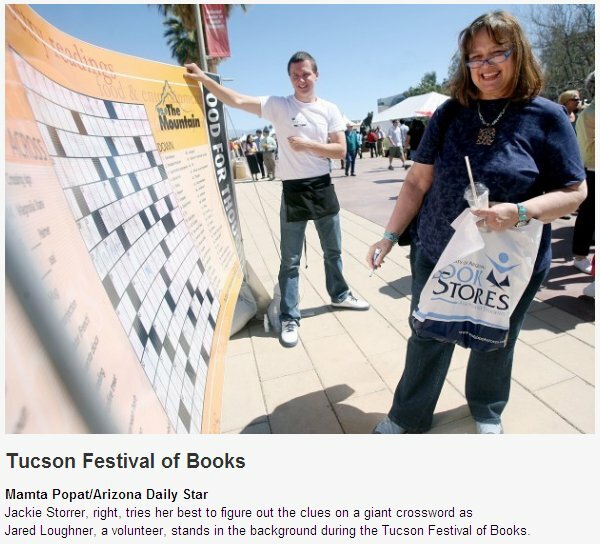 Update: A commenter points us to this photo of Loughner from The Arizona Star. Update II: Despite numerous reports that Rep. Giffords had died, attending surgeons state that she is alive, but in critical condition. 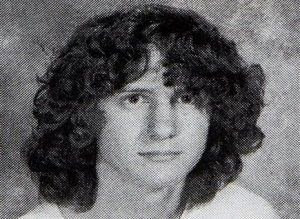 Update III: A high school photo of Loughner, circa 2006, via LGBT POV. On MySpace and YouTube web pages, a man who identifies himself as 22-year-old Jared Loughner posted anti-government messages that talk about mind control and suggested he will soon be adopting a new consciousness. "Goodbye," Loughner posted on his MySpace account at approximately 5 a.m. Saturday. "Dear friends ... Please don't be mad at me." Photos on MySpace show a close-up picture of an automatic handgun sitting atop a book or paper titled "United States History." This picture is accompanied by several videos posted to Loughner's Youtube account, including one of a masked man burning a U.S. flag and another with the words, "Don't trust the current government, listener!" It is unclear if Loughner is the person burning the flag in the video. Additional pictures show a coded message, Loughner on the street and a close-up of his face. On both the MySpace and YouTube web pages, Loughner mentions his concern over literacy rates and the fact that few people speak English. He also talks about his distrust of the government and suggests that anyone can call anyone a terrorist. "I can't trust the current government because of fabrications," Loughner wrote in a YouTube slide presentation. "The government is implying mind control and brainwash on the people by controlling grammar." KVOA identifies several of the victims. News 4 now knows the identities of two more people killed in the tragic shooting this morning: Gabe Zimmerman, one of Gifford's aides, and Dorwin Stoddard, a pastor of Mountain Ave. Church of Christ... Zimmerman, 30, was Giffords' director of community outreach, and had worked for Giffords since 2007. Pastor Dorwin Stoddard, 75, was shot while he was in line to speak with Giffords. It has been previously reported that John Roll, a federal judge had been shot and killed during the incident. Update V: The Left's poisonous attempts to use Loughner to lash out at Palin and the Tea Party: doubly sick. Link to a photo of the suspect. …identified as Jared Laughner [Ed: it would appear his name is actually Jared Lee Loughner]. Because referring to an assassin without mentioning his full middle name… well, that's just unAmerican. Wow, Chumgrinder, so glad you had the time to come here and make your little joke. I'm sure if we can get it to the murdered people's families, they will be grateful for the grin. Jared Loughner is a distraction. Mentioning the assassin's middle name helps keep every other J. Loughner in the country from getting harrassed. Not a common name, but for a couple of hours today every Gerald Laugher and Jarrad Laffner in the country was getting a lot of web traffic, and much of it unfriendly. Interesting how some of his interests and such are written in the past tense. Also why is there a comma in a sentence that is not suppose to have one... if this guy is such a grammar expert. Don't know what to make of this info... real or bogus.?! teach history here in Germany. Those people who think that words and incitement to violence can be fobbed off and taken lightly should come to visit and learn what their country fought against. I fear what's going on in America where people's ideas are not debated, but instead the people themselves are attacked. Already last week one guy was using the media to argue that Michael Vicks should be executed (no doubt given his race). Palin has constantly used this language which appeals to the type of ignorant, disadvantaged and uneducated group of people that makes up her base and has never been called for it. The irony is that Giffords had, and look where she is now (although she herself was an advocate of gun ownership). If Palin's incitement is no big deal then why did she wait until someone was attacked to delete the image? I fixed all that up. Sorry, about that bud. Yeah, I know what the guy goes through cuz I have a sleeping disorder. I lucid dream all the time. But, I guess the difference is when I wake up I know the difference between dreaming and not. I guess, what I am saying is that I am not crazy. But, can you imagine lucid dreaming and being crazy. Then it might be really hard to keep a grip on what might be or not be in your best interest action wise. I try and write my lucid dreams down. That seems to help and be very creative. But, I would never act upon any of the things I dream about. My theory: If lucid dreaming has any hold on reality then it certainly does not need my physical self to manifest into being.